Have you ever wanted to get off the electricity grid? You might have a number of reasons to do so. What about saving money? The economic breakeven may be here sooner than you think. 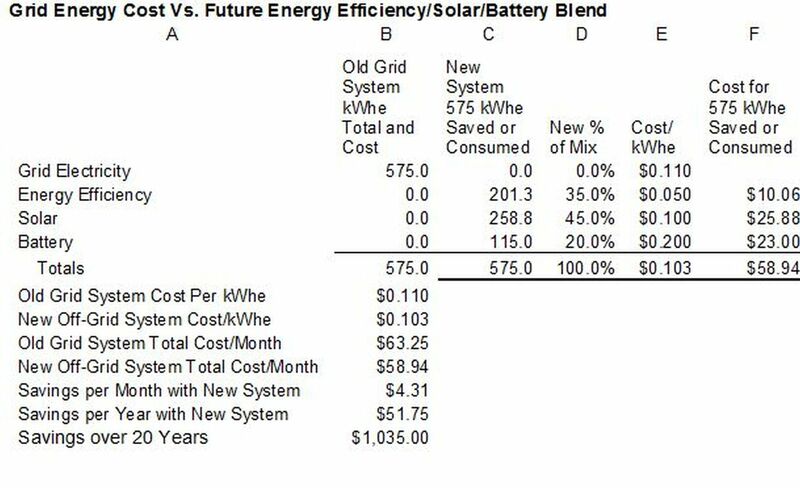 There’s an interesting and eye-opening thing you can do with energy usage and cost numbers (step 4, below) to make your own cost estimates. Let’s say that you have decided there are four things you want to do at your house. One, you want to reduce your energy use. Two, you want to buy solar. Three, you want to buy a battery system to back up your solar when the sun is not shining. Four, you want to go off the electricity grid. This is how the process of battery-backed solar might work in the near future. However, you can get started with step 1 & 2 right now, and later with steps 3 & 4. 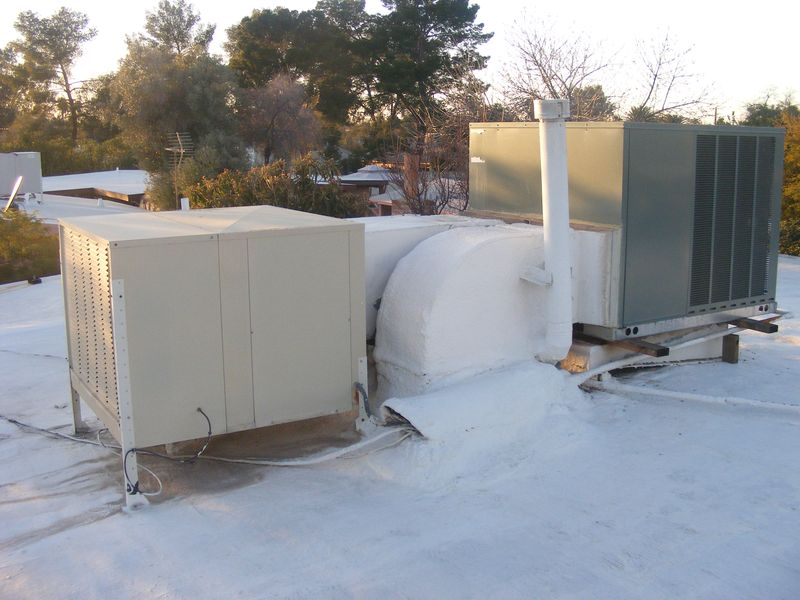 200 kWhe is a typical reduction per month by using energy efficiency techniques like insulating shades for your windows, weatherization, insulation for your attic, or getting a an evaporative cooler “piggyback system” added to your air conditioning system. Your new usage, with a 200 kWhe reduction, would be 375 X 11¢/kWhe, or $41.25/month + other base utility charges. If you were to leave it at that and not do the next steps, you savings would be $22.00/month, $264/year, $5280/20 years. Now that you have reduced your energy consumption, when you add solar, you won’t have to buy as many panels. Instead of paying for maybe 5.6 kilowatts of capacity (the average used by the National Renewable Energy Lab, at https://www.nrel.gov/news/press/2016/37745.html), you now would buy around 3.9 kWe. Your new solar panel array would deliver energy at about 7.0¢ per kilowatt-hour to your home, plus financing, so maybe 8.5¢. Batteries are the big unknown in this process. Costs are falling quickly, and there is a goal by the industry to bring them down to 14¢/kWhe, when combined with solar. This is a bit more costly, when compared to the roughly 11¢ average cost of electricity by the utilities of southern Arizona. However, you only have to get a portion of your energy from batteries, and with lower solar costs here in the Southwest, the deal gets sweeter. For example, you can get 35% of your energy needs met with energy efficiency, from step 1 above, and 45% from solar, from step 2, and 20% from battery energy, from step 3, well that leads us to that point I opened with. . .
First, you have to boost the number of solar panels a bit to power the batteries, so your cost of solar would go up from 8.5¢ to roughly 10¢/solar kWhe, fully financed. Let’s project that future battery costs are 20¢/kWhe, fully financed. Take a look at the following table and if you copy these values and formulas onto a spreadsheet (or ask me for a copy at russlowes@gmail.com), you can change the percentages in column D, and as long as the total equals 100% at the bottom of that column, all the figures will automatically and accurately update! Likewise, if you change any of the projected costs/kWhe in column E, the spreadsheet will auto-self-adjust. But, you math wizards out there already knew that! This has been about the process of going off the grid, but there are reasons to stay on the grid. The main one is so you can share your electrons with others so they don’t have to use coal, gas or nuclear energy from the grid. However, if the utilities resist the solar revolution, we may not have much choice. If the utilities keep fighting solar rooftop and keep putting onerous charges on our bills, the best choice for you and your family, and for you and your business, might be to go off-grid. *A side note about the above NREL chart: One interesting thing about the residential-size solar (rooftop solar) versus centralized utility scale is that with rooftop there is much less non-power-generation cost. With centralized solar there are new transmission requirements, more distribution costs, land acquisition costs, switch yard and substation and a myriad of other costs that are not required, as much, as with rooftop solar. Right now, rooftop solar is cheaper when you consider these non-generation costs. I believe that rooftop solar will widen the gap of cost benefit over large utility-scale centralized solar in coming years. Two utilities, Tucson Electric Power and its sister subsidiary UNS Electric, are applying for rate hikes with the Arizona Corporation Commission. Included in these rate cases is a troubling and unprecedented restructuring of how rates are applied. These proposed rate reshufflings are bad for the families and businesses in these monopoly areas. Additionally, these proposals are assaults on family and business-owned rooftop solar energy installations. TEP and UNS have engaged in a public relations campaign to promote the inaccurate idea that rooftop solar energy is costing non-solar customers more than if there was no additional rooftop solar installed. Tucson Electric Power has recently made a number of erroneous statements about rooftop solar costs. However, we will focus here on the most glaring blunder, in what has NOT been said. The utility company does not consider the “opportunity lost cost” for not going with rooftop solar. TEP again made this error of omission in a recent exchange with our County Board of Supervisors, who are opposing the proposed rate shuffle. That is, what happens if families and business owners, schools and local governments in the TEP service area do not install solar panels? TEP is installing centralized utility-owned solar energy plants, and this solar is costing non-solar customers much more than the customer-owned rooftop solar. See the table below, which further explains this. * The vast majority of this cost will be borne by the ratepayer directly benefitting from this installation. borne portion of this, on average is likely under 1¢ per kilowatt-hour saved. Recently TEP just secured more fossil fuel power capacity. This will cost much more for non-solar customers in total dollars, and in cents per kilowatt-hour. TEP claims that family-owned solar energy increases costs for its non-solar ratepayers. In this claim TEP is probably really talking about what the utility company losses will be. The company financial losses to customer energy efficiency and solar investments are real, if you do not count the gains to the company in terms of grid diversification, performance fees TEP earns on customer energy efficiency investments, etc. However, these gross costs (before these other offsetting benefits) are very minor, at this point of grid penetration, well under 5 percent. What TEP and UNS Electric ignore, in this “solar costs non-solar customers argument,” is that all the other options of electricity generation expansion are more expensive than customer-installed rooftop solar. Centralized solar built by the utilities costs non-solar customers far more than rooftop solar. Fossil-fuel generation is even more expensive, as well as polluting and climate-changing. In addition, the 0.5¢/kilowatt-hour cost that is purported to be shifted to non-solar customers, is actually returned to customers numerous times, by diversification of the grid, reduction in peak gas-generated electricity, and by many other benefits that solar provides to all families and businesses. Consequently, it is in the best interest of our families and business-owners that customer-owned rooftop solar continues to be installed, under the current net-metering system. This is not best for the utilities only under the current business models that are now outdated. These models need to change. The Commission needs to require that TEP and UNS update their business models to mesh with the new technologies, the new ways in which people are living, and the improving costs of options customers did not have until recently. Additionally, the business models need to be changed to reflect the far lower impact the newer technologies have on the environment and on human health. When a rooftop-solar customer invests in solar, that family or business pays all of the construction cost, all of the interest and all of the maintenance costs. These costs add up to about 11¢ per kilowatt-hour if financed through a home equity loan, or a business loan. When a utility builds solar, it pays for these three categories and more (land acquisition, transmission lines, etc. ), but then passes it on to the ratepayers. Similarly, when TEP acquires more natural & fracked gas capacity, it pays for these components of overall cost and passes them on to the ratepayers. TEP and UNS should not be allowed to ignore the fact that if solar rooftop is not invested in by families and businesses, the utilities will have to invest in other more expensive power-generation options and pass those costs on to their customers. To ignore this is deceitful and only works to further undermine the trust of ratepayers in the TEP and UNS Electric monopolies. >>> Action to take! For anyone wanting to comment before these cases close, you could address your comment as follows. Nobody knows when these two rate cases will close, but it will probably be open through July or August of 2016.
a) This is calculated based on typical sale price of $3000/kilowatt of D/C electrical capacity, .8431 conversion rate to A/C electricity, a lifetime average degradation rate of 13.2% over the 30 year minimum life span, with a capacity factor (average output, compared to A/C rating) of 20.85% with 5% APR financing for a home equity line of credit (HELOC). b) Based on reviews of leases for solar homes in Tucson, Arizona, by one of the authors, Russell Lowes. c) Based on lower cost per kilowatt installed but higher loan rate, 6% APR. d) Based on $2800/kW D/C, 0.8431 conversion rate to A/C, a 13.2% average degradation rate for a 30 years, with a capacity factor of 20.85%, with 9% average financing, per Tucson Electric Power Integrated Resource Plan, which lists 8% as the average corporate bond rate, 10% as the average rate of return on equity and a typical 50/50% blend of the two financing options. e) Based on $2200/kW D/C, 0.86 conversion rate to A/C, a lower 9.5% average degradation rate for a 30 years, with a lower capacity factor of 18.3%, with X% average financing, based on the Tucson Electric Power Integrated Resource Plan, which lists X% as the average corporate bond rate, X% as the average rate of return on equity and a typical 50/50% blend of the two financing options. f) Based on what TEP is typically getting for Power Purchase Agreements and what it uses as the basis for its proposal to reimburse solar rooftop owners. g) Gas-produced power from Lazard’s Levelized Cost of Energy Analysis—Version 9.0, at: https://www.lazard.com/perspective/levelized-cost-of-energy-analysis-90/, p. 2 (click on “View the Study”). This is at the lower end of the two combined Gas Peaking and IGCC (more toward baseload) options. The average of these two is 16.6¢/kWhe. Additionally, see table below for similar approach to gas-generated electricity costs. This has to take into consideration more peaking energy costs for electricity that rooftop solar would displace. These costs can be as high as 21.8¢/kWh, according to Lazard, p. 2.
h) , p. 2, energy efficiency is taken from the top of the range from Lazard’s (see g). Nuclear is a drain on our ability to deal with climate solutions, energy needs. Dr. James Hansen is dead wrong. He is wrong about nuclear energy being able to make a contribution to solving global warming. He has little or no grasp of the economics of nuclear energy, and that leads him to mistakenly support this doomed option. Let’s just forget for a moment a key negative aspect of nuclear energy. Let’s assume that there is no greenhouse gas from the nuclear fuel cycle, even though the two lifecycle meta-studies done so far both peg the number at approximately sixty-five grams of carbon dioxide per kilowatt-hour, more than six times that of wind energy. Let’s focus instead on costs of new reactors in the U.S., which make them infeasible to solve energy and global warming problems. The newer round of reactors Dr. Hansen would like to see are very similar to the last group of reactors finished in the 1980s in at least one aspect – economics. These reactors require giant nuclear steam supply systems, oversized condensers, large plant footprints, huge reactor containment buildings and an insane level of complexity compared to the other options – and even more complexity and construction material than the last round of reactors. There have been recent proposals for smaller reactors. The U.S. nuclear program started out small and chose to go with larger reactors to reduce cost per kilowatt. The small reactors would just spread out the radioactive waste, relative cost and complexity issues over a wider ground. Simply put, the nation, and the planet, can neither gain traction against global warming nor solve its energy problems practically and cost effectively, with nuclear energy. The nation and the world would in fact be set back by the extreme additional cost, compared to a better planned energy strategy. That alternative strategy includes solar, wind, energy efficiency, storage and energy management technologies, plus a rapid phase-down of fossil and nuclear energy. Let’s just forget that an accident like the one at Fukushima can endanger an entire nation’s nuclear energy program. This is where Japan switched from nuclear to mandated energy cut-backs and massive increases in fossil energy use. It is five years later and things still are not back to normal. However, the Japanese have amplified their renewable energy program. The last significant round of U.S. nuclear construction was completed in 1987. The average reactor was completed for around 3,100 dollars per kilowatt of capacity. See Brice Smith, Insurmountable Risks: The Dangers of Using Nuclear Power to Combat Global Climate Change, found at www.ieer.org/. That comes to 6,211 dollars per kilowatt of capacity, in 2015 dollars. See http://data.bls.gov/cgi-bin/cpicalc.pl). Let’s just forget about other issues like national security, and the likelihood that centralized nuclear plants remain vulnerable not only to terrorism and foreign attack but also natural disasters, accidents and operator error. Let’s ignore the Fukushima disaster as well as the damage that some U.S. nukes have already shown in tornados and hurricanes, plus the creeping onset of sea-level rise and storm surges. Let’s also put aside the problem of disposing of long-lived radioactive waste, which is enormously expensive, technologically intractable and probably insoluble. We’ll just continue on with what 6,211 dollars per kW would cost for one reactor. 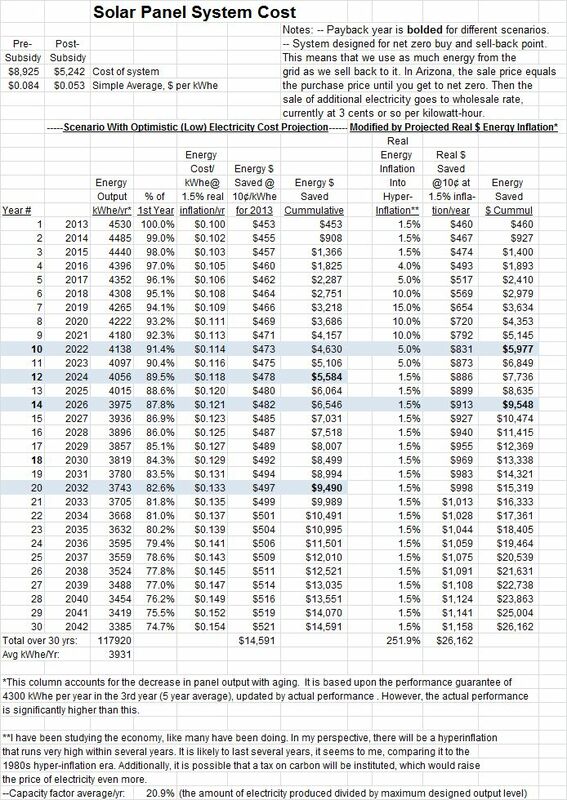 If we ran this out from this year to 2023, at four percent inflation, the cost per kW would equal 8,173 dollars. One of us, Russell Lowes, has been accurately projecting nuclear costs since the 1970s (only four percent off on Palo Verde reactors projected in 1978 for 1986 completion). He has come up with twenty-seven reactor construction cost factors, perhaps the most varied list of factors compiled for nuclear construction costs. The estimate is that the reactors of the early 2020s will cost about twenty percent more in real dollars than the reactors finished in the last big wave of the mid-late 1980s. This considers factors that would make reactors cheaper than in the inflation-adjusted cost of the past, like labor cost declines in America. And it also takes into consideration factors that would increase the costs, like material cost increases, and increases in plant robustness requiring more cement, copper, steel, etc. If an average U.S. reactor in the future is 1,350 megawatts of capacity, this average nuclear reactor would cost 9,808 dollars per kW in 2023. That’s 13.2 billion dollars per reactor. Assume a higher than average thirty-year capitalization cost, say fourteen percent instead of twelve percent for a typical large fossil plant, due to increased risk (per the Standard and Poor’s ratings agency). The cost per kilowatt-hour just for construction, for an eighty-five percent plant output average, would be 13.8 cents per kWh over forty years. This would be upped by operation and maintenance costs. See Keystone Report, “Nuclear Power Joint Fact-Finding,” page 42. Add 4.3 cents per kWh for operations and maintenance, plus transmission and distribution of say 7 cents, to deliver the average cost of nuclear energy to 25.1 cents per kWh. This compares to solar power purchase agreements of 7.5 cents for production, 13.5 cents delivered, with prices continuing to improve. It compares with wind at 3.5 cents, 10.5 cents delivered, and energy efficiency at 3.5 cents. It compares to rooftop solar at about 12 cents delivered with net metering, including on-site transmission and distribution. Let’s put this on a larger scale. The U.S. spends about one trillion dollars on all energy each year. If it were to build, say, a hundred nuclear reactors, the cost would be about 1.325 trillion dollars for construction. With the interest, operation and maintenance, etc., this would cost ratepayers in the U.S. about 173 billion dollars per year. This 173 billion dollars is almost half our current annual electricity outlay in the U.S. 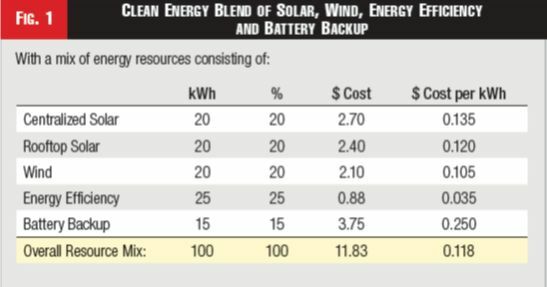 The equivalent energy produced from solar and wind, and saved from energy efficiency improvements, per kWh, is shown in Table 1. The 11.8 cent average cost for energy received and saved in the Table 1 energy mix would translate to 81 billion dollars per year, compared to the nuclear option of a hundred plants at 173 billion dollars per year. By the way, this lower-cost clean energy blend would not only produce less greenhouse gas, but also would save 92 billion dollars per year. We have only a limited amount of dollars to put into energy. When you put a dollar into nukes, you get about four kWh. When you put that dollar into centralized solar, you get about seven kWh. Rooftop solar gets you about eight kWh. Wind delivers about nine kWh. Energy efficiency delivers twenty-nine kWh saved for every dollar spent. The U.S. has limited capital resources for energy. They shouldn’t be wasted. When you put a dollar into nuclear energy, instead of putting the same dollar into one of the cheaper options, for example wind energy, that dollar would cause only four kWh to be delivered to ratepayers, versus seven for wind. This creates a deficit of three kWh, that now needs to be recovered from this mismanaged dollar. Nuclear energy is plainly a boondoggle, one that is made even more expensive when you consider its subsidy costs, compared to the other options covered here. It would be one thing for James Hansen and others to consider nuclear energy if it gave you extra value, compared to the other options. Instead, it is a financial drain on our ability to deal with climate solutions and energy needs. It is time to nuke the nuclear option. Russell Lowes is the primary author of the book, “Energy Options for the Southwest, Nuclear and Coal Power.” This was used by citizens creating initiatives at California electric municipalities to cancel Units 4 and 5 at the Palo Verde nuclear plant. Lowes projected a cost of $6.1 billion for the nuclear plant, west of Phoenix, compared to the industry projection of $2.8 billion. The plant came within four percent, at $5.9 billion, perhaps the most accurate projection for a nuclear plant in the U.S. Lowes testified before the Arizona Corporation Commission, as an expert witness on the economics of power plants. 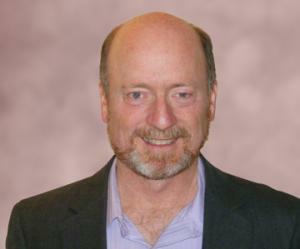 Today he heads SafeEnergyAnalyst.org, and is the Energy Subcommittee Chairman for the Southern Arizona Sierra Club Rincon Group. Edward Mainland is co-founder of Sustainable Novato and currently Secretary of Sustainable Marin, both volunteer groups in Marin County, California that promote long-term community sustainability and local self-reliance. 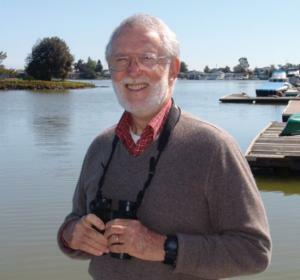 He has been Senior Conservation Fellow at the International Program at national Sierra Club headquarters in San Francisco, and co-chair of California State Sierra Club’s Energy-Climate Committee. UNS Electric, Inc., is the first of three utilities in Arizona to file a rate case to kill off the booming residential and business solar industry. 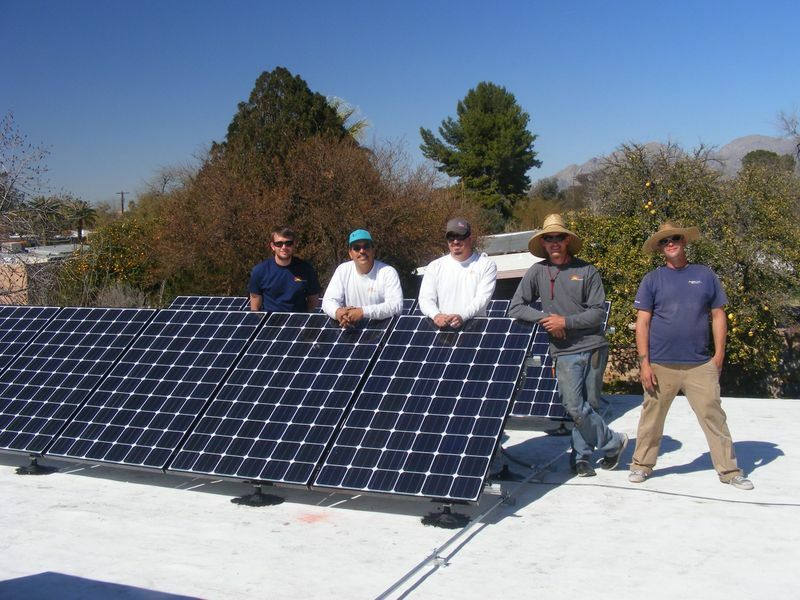 The utilities, UNS, Tucson Electric Power and Arizona Public Service, are undertaking a coordinated effort to increase rates, increase basic fees and wipe out family-owned solar energy rooftop installations. They hope to achieve this by implementing a new rate structure for consumers that includes three nasty components. These tactics are particularly detrimental to families and businesses in Arizona. UNS is the first to propose it, but if the Arizona Corporation Commission (ACC) approves UNS’s proposal, the other two utilities are sure to follow. The ACC is the regulatory commission for Arizona energy utilities. First, UNS Electric wants to virtually eliminate a long-standing Arizona policy to put solar on parity with other energy options. This policy, called “net metering,” has been adopted by almost all states in the U.S. Now UNS wants to reverse it in Arizona. Currently under this policy, your electric utility pays you the same rate for the excess solar electricity that you produce as you pay to buy energy from the grid when you need it. In other words, under the current system, if you have solar panels, the utility buys and sells energy from and to you at the same retail rate. UNS Electric wants to cut what they pay you in half. And then they would turnaround and sell the power that they buy from you to your neighbors for twice the price. Second, UNS wants to increase the basic fee from $10 to $15 per month. This is bad in so many ways. It means a much bigger (50% bigger) portion of your bill would be beyond your control. When you reduce energy consumption, a move better for your pocketbook and for the planet, the fee would not go down. When you put solar on your house, which is better for your pocketbook and better for the planet, your fee would not go down. It is a disincentive to using your energy more wisely. And, because UNS gets the vast majority of their energy from coal and gas, it is a penalty to families that do the right thing by reducing their coal and gas-produced energy. Finally, UNS wants to implement a demand charge for residential customers—something that no other major Arizona utility has imposed on residential users and is typically only used for commercial customers who are better able to control and track their usage. The “demand charge” would be a rate (cost per kilowatt-hour) calculation that would be assessed by UNS, and without notice to the customer, based on each customer’s highest energy peak usage over the worst 15 minute period in each month. So if your overall usage for a given month is lower than usual, if during that same month someone ran a number of appliances while the A/C was on over a 15 minute period, the cost per kilowatt-hour for the entire month would go up based on those brief 15 minutes. This would happen even if your peak was of no consequence to UNS. Not only have TEP and APS intervened in the UNS rate case on the side of UNS, all three companies have recently put forth the supposition that rooftop solar energy installed by one family is the cause of increased costs to other families. UNS and the other two utilities have been throwing out this concept, without referring to the other alternatives. Statements of costs of solar rooftop without comparing it to the other options are meaningless in the bigger picture. Energy costs for most other UNS options are much more expensive to these families without the participation of rooftop solar. If for example, UNS purchases solar energy at a large centralized solar facility, the cost per kilowatt-hour is currently about 6¢ for production, and going down each year, plus 6¢ for transmission and distribution, totaling 12¢/kilowatt-hour. This is after taking out about 2¢ from subsidies. New gas plants are about 13¢/ kilowatt-hour, with a likelihood of increasing fuel costs. This gas plant price is also is after subsidies are subtracted. New coal plants are about the same cost per kilowatt-hour. When UNS buys solar, or for that matter, gas or coal, the cost of construction is entirely passed on to the ratepayers, which includes families with and without solar. With utility solar, all ratepayers pay all the utility-solar-plant land acquisition costs, the environmental permit costs, the siting costs, equipment maintenance costs, increased transmission and distribution (T&D) costs, grounds cost, insurance, switch yard costs and more. When a family or business decides to go rooftop solar, there are also system costs. However, instead of passing on these costs to other families, that solar family pays all the construction cost, all the interest costs, all of the other costs except a small portion of the normal transmission and distribution cost. The non-solar family would only pay a small added transmission and distribution cost. But this cost is very small compared to centralized plant T&D costs. The rooftop solar energy does not have to be transported on long-distance high voltage transmission lines. Rooftop solar largely uses existing lines. Under the UNS proposal, rooftop solar gets sold locally by UNS at a virtually 100% profit over a time span that is in an instant, not even the normal measurement of a year for return – that is price-gouging. In sum, the non-solar family pays much less for system expansion when the neighbor next door expands the system by 5 kilowatts, for example, compared to when the utility expands the system by that same 5 kilowatt of capacity. Thus, the message that the Arizona utilities are crafting, that rooftop solar is costly, is false. The much higher costs are with the other options of utility power plant construction and acquisition. Moreover, solar energy offers substantial environmental benefits. However, even without addressing these important advantages, solar rooftop costs less to all families, families with and without rooftop solar energy, than the alternative utility power plant expansion. I am hoping that many many ratepayers will submit comments to the ACC on this rate case. Please look over the action section below and at the URL in this section. It is Time to Nuke the Nuclear Option! Nuclear Electricity Makes No Sense. The Obama administration is already doing all it can realistically do. Despite its “all-of-the-above” façade, it favors nuclear power. To start with, the Energy Department is essentially a nuclear department. Professor Moniz is [was] Secretary because of his nuclear ties. DOE’s national laboratories are basically nuclear labs. It organizes international nuclear R&D groupings to encourage worldwide commitment to nuclear power. The Obama administration has created an inter-departmental Team USA, including State and Commerce, specifically to encourage domestic nuclear industry by promoting nuclear exports. The White House dedicates a staffer to this task. Secretary Moniz emphasizes his commitment to “jumpstart” the U.S. nuclear power industry. DOE subsidizes new domestic nuclear plants through loan guarantees. The nuclear Navy provides government-trained operating personnel. And to facilitate the licensing of new plants, and extend licenses for existing ones, the administration’s appointments to the Nuclear Regulatory Commission have ensured that it remains industry-friendly. We keep hearing from certain people that nukes are essential to solve energy and global warming problems. They say that nuclear energy is carbon-free, or some say low-carbon. They are neither. They say that nuclear is low-cost. They say building another round of nuclear reactors is essential for the U.S. and the world. It is neither low-cost nor essential. To build more megawatts of nuclear energy would be a mega-distraction. Such an emphasis would weaken our response and ability to stem future climate chaos. I will take on the mission here of showing how the horrendous costs of nuclear energy makes this source an unpractical one. It is especially unpractical now, during our quest to truly course-correct on climate change. 1) This is double the electricity price for the U.S. on average . 2) The cost of 24¢ for nuclear electricity is more than twice the 10¢ cost of solar electricity in Arizona, about twice the national average for solar. 3) It is more than twice the cost of wind-generated and delivered electricity. 4) Most important, nuclear electricity is 8 times the 3¢ national average cost of energy efficiency. 5) It is about twice the cost of new coal and gas-generated electricity. You might ask, well how do we know how expensive a reactor will be? We have nuclear plants scattered across the nation, so how much did these plants cost in the last round? First, I have been using empirical analysis of the cost of nuclear energy since 1977. We used regression analysis in a book released in 1979. This book was instrumental in convincing investors to pull out of the Palo Verde Generating Station Units 4 & 5, America's largest nuclear plant, west of Phoenix. Our analysis projected the cost of the Palo Verde to be $6.1 billion in 1986 actual completion dollars. The managing utility company, Arizona Public Service Co. (APS), projected $2.8 billion at the same time, and they never waivering on its projection until construction was well under way. That down-graded plant of 3 reactors was finished for $5.9 billion. The APS projection was overrun in costs by 111%, while our projection was slightly over the final cost by less than 4%. Of all the reactor projections done across the land that we could find, ours was the most accurate nuclear reactor projection in the nation. We used empirical approach to costing reactors, with regression and other modeling techniques. Apparently APS used the tried and true method of sales pitch estimation. So how do we jump from then, when the final reactor at PVNGS was completed in 1986 to now? The method I use is four-fold. 4) Finally, weigh a series of factors that might increase or decrease this figure. For step 1, a low/conservative estimate on reactor average cost for 1988 was $3100 per kilowatt of net plant size. Putting that $3100 into 1987 dollars at the U.S. Bureau of Labor Standards inflation calculator yields $6105 per kilowatt of electrical capacity in 2013 dollars. For Step 3, I project a common 4% inflation rate through 2022, the first year it is likely for the next small group of reactors in the U.S. to be completed. This yields a completion cost in 2022 of $8689/kWe. For Step 4, I have come up with a survey of 27 reactor construction cost factors. This is the most varied and numerous list of items I have seen, so far, from all my reading on reactor costs. I estimate that the reactors of the early 2020s will cost about 20% more than the reactors finished in the last big wave of the mid-late 1980s. In this 4th step, I have considered factors that would make nukes cheaper than in the real (inflation adjusted) dollars of the past, like labor cost declines in America. I have also taken into consideration factors that would increase the costs like certain material cost increases, and increases in plant robustness requiring more cement, copper, steel, etc. After comparing the changing conditions since the time the last reactors were completed, I have come to what I consider a fairly accurate projection. It probably won’t be as accurate as our PVNGS <4% accuracy level, but I am fairly sure it will be in the ball park. After going through this process, the final figure I project for the next round of nukes built in 2022 is $9149/kilowatt of plant size. This is in sharp contrast to most sales pitches from utilities today, where they project more like $4000 per kWe. It would be good to remember that the average overrun was 220% in the last round. They sell these plants by unrealistically lowballing the construction cost. What does that come out to in cost per kilowatt-hour? Just like with solar and wind, you can break this down to the kilowatt-hour of electrical capacity (kWe) level, and then apply production time (hours) to it to get kilowatt-hours of electricity delivered (kWhe). You can also multiply these kWe units to the typical sizes of the wind turbines, solar panels, or coal or nuclear plants. This is what it would cost roughly, to install 100 reactors in the U.S., a figure being brought up from time to time by members of Congress. = $5.187 trillion paid just for construction and loan and tax expenses, not counting fuel or operation & maintenance, nor transmission and distribution. $988/taxpayer/year if we have 175 million taxpayers. So, how do we get to cost per kilowatt-hour? For each kilowatt of plant capacity, you can calculate the cost to construct, the capital cost and then calculate the electricity the plant produces over a typical 40 years (before major costs of renovation add to the equation). Then simply divide the capitalization cost by the kWhe. Here we go (simply). . .
= $38,426 capital payback over 30 years for each kWe of size – This is just the total capital cost over 30 years. = 298,044 kWhe over 40 years – THIS is the e output over 40 years. Note that the capital payback is 30 years and the plant runs for a projected 40 years (before major capital upgrade, if it runs longer). = 12.9¢ per kilowatt-hour of electricity. There was a multi-disciplinary report put together by the nuclear industry, along with governmental and non-governmental entities called the Keystone Report. 4.3¢ per kWhe for fuel and O&M. That, plus. . .
What are the implications of such a high cost to your household, and to the larger society, the U.S. in this case? I’ll leave that up to your imagination, as you ponder that solar is currently less than half the cost, while it continues its cost plunge, energy efficiency is about one eighth the cost and wind is also about half the cost. Getting back to Victor Galinsky’s quote from the beginning, the only way in which nuclear energy can compete in the market is in a skewed way, with the U.S. Government favoring it all the way along. That in fact is how nukes have gotten as far as they have. It’s time to nuke the nuclear option! Below are some facts about the SunZia proposal and who you can write to help stop this environmentally destructive project. This is a partner article to another at: http://arizona.typepad.com/safeenergyanalyst/2012/08/sunzia-the-making-of-a-slave-state-first-power-then-transmission.html &#160; However, this factsheet is from the Grand Canyon Chapter of the Sierra Club. 1) This is a transmission project, and does not involve approval of any renewable energy projects. No one knows exactly how much renewable energy generation will result from building the proposed transmission lines and support towers. 2) A 2008 economic feasibility study has established that transmitting the proportion of renewable energy claimed (81 to 94%) in the BLM’s Environmental Impact Statement (EIS) is very unlikely to occur, because this mix would not be economically competitive in the absence of a CO2 emissions tax. The same study concluded that under current market conditions, the most likely energy mix to result in actual power purchase agreements would consist mostly of fossil fueled energy. The BLM’s Environmental Impact Statement never acknowledged these findings, despite repeated submission of this third party study by local stakeholder groups. This violates federal regulations regarding the use of the best available data in the EIS. 3) The owners of the SunZia project also own a very large planned and permitted natural gas fired generation plant in southeastern Arizona that is located along their proposed transmission lines. The BLM never acknowledged the relationship between the owner’s interests in the two proposed projects, despite the disclosure of this relationship by the owners to another federal agency (the Federal Energy Regulatory Commission). This violates federal regulations regarding the use of the best available data in the EIS. 4) The SunZia project would open up a new industrial scale infrastructure corridor on 40% of its proposed route, most importantly through environmentally sensitive lands along the Rio Grande and San Pedro Rivers. On one route segment alternative, over 80% of the proposed path would be through previously undisturbed lands. 5) Other proposed transmission projects, such as the Southline Project, would co-locate with existing infrastructure and disturbed lands to a much higher degree than the proposed SunZia project. SunZia is a project that would cause significant new impacts to our dwindling wildlands, and would not live up to its purported renewable energy benefits. Install Solar at Your Home? A year and a half ago my wife, Lhasha, and I took the leap! After 17 years since buying our house, we finally installed solar panels. This article shows how solar is affordable now. Prices have come down even more, since we installed our solar panels. The costs of owning a solar array to power your home are now far cheaper than buying power from your utilities. Insulated behind the cabinets on our kitchen cabinets. We did all these efficiency things first, to save energy and to reduce the panels we would need to buy. After saving up for solar by late last year, we decided to get three or four quotes. We received quotes from Sungevity, Technicians for Sustainability and Net Zero Solar, and a ballpark quote from Geo Innovation. These quotes were for similar products, and had similar contracts. I was hoping to go with Sungevity, because they linked with the Sierra Club in donating $750 to the Club per installation. However, Net Zero Solar in this instance provided the best bid. Their cost, pre-tax reduction and rebate, was $8925 (without the utility rebate, which we signed over to them). Technicians for Sustainability gave a $11,029 quote, and Sungevity gave a $16,910 quote (gross cost, pre-tax benefit reductions). So, you might ask, how quickly does solar pay for itself? How good of an investment is it? Here is a breakdown of how I would answer this question. First, it largely depends upon how you pay for the system. If you are buying the system and are comparing the cost of the system to what you would pay in electric bills, that would require a projected interest rate for a loan, and an electric price prediction. If you are borrowing to buy the system, and are borrowing money at say 6%, it will be different than buying with cash. For my personal approach (after all, it is a personal approach), I do not think that investments will yield very much in the future, as the stock market is very high, so here I focused instead on the electric grid comparison. I also believe our U.S. economic foundation is weak and that we are likely to go into hyper-inflation in several years, similar to the early 1980s. I believe this will increase electricity bills substantially. It is important for me to emphasize to you: once you invest in solar, there is a good chance that your investment will be good for well over 25 years. Some solar panels are now still in use after 40 years. Your solar investment is not likely decrease in value like stocks or bonds during an economic downturn. It will keep its value and maybe increase in value if the cost of electricity does what I think it will do. This is how I personally approach it. If you are borrowing or leasing, you could come up with a different approach, or you could modify the table below. If you have positive equity in our house, home equity loans are a good way to go. The positive impacts on the environment are matched by the positive impacts on your wallet. Solar energy is economical now.